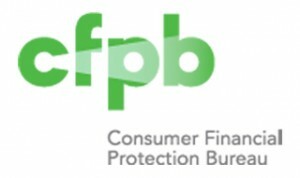 Roughly three-fourths of likely 2018 voters support the existence of the Consumer Financial Protection Bureau (CFPB) and more than half are concerned about Republican efforts to restrain it, according to poll results shared Thursday with The Hill. The poll commissioned by Americans for Financial Reform, a nonprofit that supports vigorous financial sector regulation, surveyed 1,000 registered voters who said they plan to vote in the upcoming midterm elections. The results found broad support for the CFPB’s historically aggressive oversight coupled with opposition to changes implemented or proposed by Acting Director Mick Mulvaney to ease the bureau’s strain on banks and lenders. The survey, conducted by liberal polling firm Lake Research Partners, found widespread support for the CFPB, a stark contrast from its polarizing presence in Washington. The poll’s results were broken down by U.S. region — Northeast, Midwest, South and West—and respondents from each area held similar levels of support for the CFPB’s purpose. The CFPB was created by the Dodd-Frank Wall Street reform law to police the financial services industry for predatory lending and abusive treatment of consumers. The agency has been the focus of an intense partisan battle since it opened in 2012.